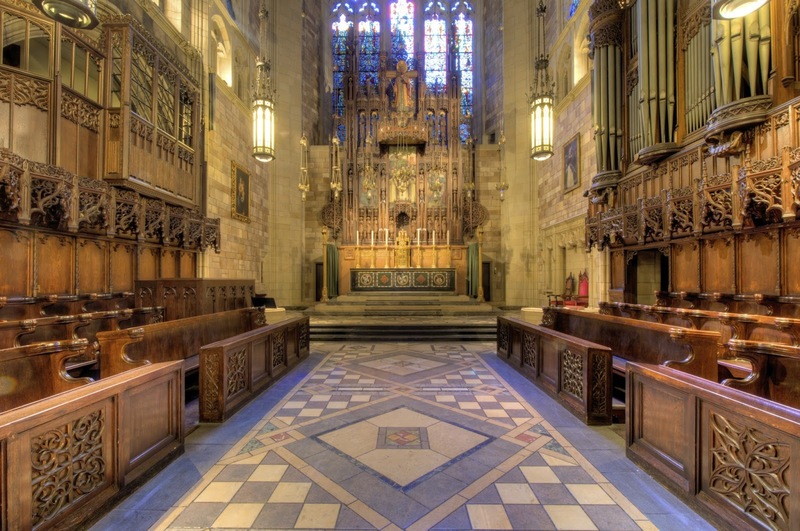 On Saturday, June 3rd, there will be a Solemn Mass for the Vigil of Pentecost at 7:30 pm at the Dominican church of St Vincent Ferrer in New York City, located at 869 Lexington Avenue. This Vigil Mass, similar in form to the Easter Vigil, includes readings and prayers added by Pope Benedict XVI in 2008. The readings will be chanted and accompanied by chants from the Dominican Graduale. The Schola Cantorum will sing Giovanni Pierluigi da Palestrina’s Missa Dum complerentur, Hans Leo Hassler’s Dum complerentur, and Giovanni Gabrieli’s Jubilate Deo á 8. On Sunday, June 4th, Solemn Mass for Pentecost Sunday will be celebrated at 12:00 pm. The Schola Cantorum will sing William Byrd’s Mass for Four Voices and his polyphonic settings of the Propers for the Mass. That evening at 5:30 pm, Solemn Vespers will be celebrated with chants from the Dominican Antiphonarium.